One of the most common question I get is “Where do I look for legitimate drop shipping wholesalers and suppliers”? In this screencast, I’ll tell you exactly where to find great drop shipping sources. You’ll also learn to identify top tier suppliers you’ll want to partner with as well as how to spot – and avoid – the bad ones. Short on time? Scroll down to view the individual slides so you can get the takeaways in less time. 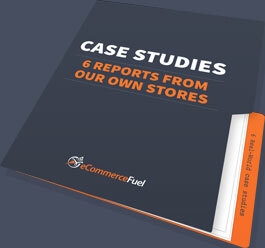 Hey, guys, Andrew here from eCommerceFuel.com. In this screencast, I want to talk about a question that I get really frequently, which is “How do you find great drop shipping suppliers?” So, if you invest the time to watch this video, you’re going to learn where to look for great drop shipping suppliers, how to identify the good ones that you can actually build a profitable business around, and how to avoid the bad ones that are going to cause you problems. Let’s start off with where to look for suppliers. My favorite place to look, at the beginning, is to contact the manufacturer of the product you want to sell. They’re usually going to have a list of all of their wholesale distributors, and they’re going to be eager to expand their retail network. So usually, you should be able to get a lot of traction and find some great sources just by calling the manufacturer and saying you want to sell their product. Secondly, look in Google, and this is no breakthrough revelation. But what you may not know is you need to dig deep. Wholesale suppliers are notoriously bad at advertising and marketing. So, they’re just not going to pop up on the front page of Google when you type in “teapot supplier”. Not going to happen. You’re probably going to have to dig through five, six, seven maybe 10 different pages in Google. So, make sure you dig. Also, make sure you’re using more than just the “wholesale” modifier. Use words like “distributor”, “bulk”, “reseller”, “warehouse”, “supplier”. Using all of these is going to make it much more likely you’re going to find a supplier in your niche. The question I get a lot is, “Should you pay out for wholesale directories, for paid wholesale directories?” Kind of a mixed bag here. The one that I have used and can recommend is Worldwide Brands. It costs about $300, which is not cheap, but they do have a great directory of wholesale suppliers. It’s fantastic for finding new product sources. It’s also a great tool for brainstorming niche ideas. That being said, it is not required to get started. You can definitely find good suppliers on Google. It takes a little more legwork. It takes a little bit more digging and time, but definitely it is possible. Still no luck? Well, you can order from the competition if you think they’re drop shipping the product that you want to sell. A little shout out to Tim Ferriss. This is one of his tips in “The 4-Hour Workweek”. This isn’t a strategy I’ve used myself. Personally, if you get to the point where you can’t find a supplier anywhere else – and your last hope is to order from a supplier you think may be drop shipping in order to find a drop shipper – well, it’s a bad sign. That might mean that there’s not very much demand in the market because if there was, there would be more suppliers available to fulfill that. So, this is kind of a Hail Mary and you can try it, but it’s also a bit of a red warning flag. So, we talked about where to look for suppliers. Let’s talk about how you evaluate them. Suppliers, obviously, are the backbone of your drop shipping business. They’re crucially important, and you’re going to be responsible for their errors. Nothing is worse, nothing, than having a supplier make a mistake, having a customer calling you angrily, and have to take responsibility for that. Because you can’t pawn it off on a drop shipper. It just doesn’t work like that. So, finding good ones is crucial for a number of reasons. Great suppliers invest in technology. A really well laid out website, data feeds, live inventory, and the ability to change orders online. These are all signs of a great wholesale supplier. Great suppliers take orders by email. This may sound maybe a little bit obvious, but you’d be surprised. There are some wholesalers out there that won’t take orders by email. Once you get to the point where you’re trying to automate your business, you may be able to integrate live feeds and XML feeds for automatic order sending. But what you’re definitely going to be able to do is set up new order emails to be routed directly to your supplier. If you can do that, and they’ll take the orders by email, it’s a great way to automate your business. If they don’t, it’s going to make it a lot more work for you fulfilling orders. Great suppliers take credit cards. Kind of an out of place picture here, but you’ve got the Taj Mahal down there. That little dot is myself and my wife in the corner. We took a seven month around the world trip paid for almost exclusively with frequent flier points that we racked up. So, if you can make sure that your suppliers are fine with taking credit cards on an ongoing basis, you can rack up some awesome, awesome rewards. Great suppliers have rock star sales representatives. This is particularly important if you’re just getting started in a niche, because you may not know much about it. That sales rep is going to be your go-to source for information for when you have questions your customers have, and as you’re getting acclimated and knowledgeable about your market. So, having a sales rep that really knows their stuff is hugely valuable. Great suppliers are centrally located. This is a UPS transit map, and you can see – I think this is for a Kansas City-based supplier. Someone from Kansas City could pretty much ship UPS Ground to anywhere in the United States – with a couple of exceptions – within three days, which is fantastic. Stuff gets to customers more quickly. You can almost guarantee three-day delivery without having to pay up for special 3 Day Select with UPS. Your shipping fees are going to be a little bit cheaper. It’s great. So, centrally located suppliers are wonderful. Great suppliers do not charge big fees. It’s pretty common to see maybe a two to $5 drop ship fee per order depending on how complicated and involved it is to ship that order, but if you start dealing with a supplier who asks for $50, or $100, or $200 a month, just for the privilege of buying from them, no. That’s crazy. Don’t do business with those guys. Finally and most importantly, you need to have more than one supplier for a specific business. This is crucial. It gives you more fulfillment options, so with overlapping inventory for two suppliers your chance of having an out of stock item is significantly decreased. It increases your shipping flexibility, especially if your suppliers are in different geographical locations – one on the East Coast and one on the West Coast – then you can route orders through the warehouse closest to your customers, which is great. It offers more competition amongst suppliers, which leads to lower prices for you because ultimately they know they’re competing for your business. Less out of stock items when you have multiple suppliers, again, because you’ve got redundancy in your product stocking. There’s less wholesale expense because you’ve got wholesalers competing for your business, and overall, you just have less headaches when you’ve got a couple different suppliers. Before committing to a supplier – because you are committing, you’re building a business around them. You’re getting to know them. You’re building a website based on their product lines. Before committing, there are three things you want to do, because you really don’t want to get in bed with a bad supplier. It’s going to be painful. First, talk with a sales rep. Make sure you spend a good 10, 15, 20 minutes on them to get a sense for their level of service, to get a sense for the depth of their knowledge in the niche. Those are really important. Secondly, ask for references and don’t let them give you some guy who ordered three items two years ago. Make sure that you get a customer who’s ordering a decent volume on a very regular basis and talk to them. They’ll give you a real good idea of what kind of service and quality you can expect from the supplier. Finally, test the supplier by placing a couple of orders. There may not be anything better than actually placing an order with a supplier to see how well they fulfill your drop shipment. So, place a couple small test items. See how quickly they ship out. See how quickly they send you tracking information. See how well they’re packaged when they show up. You’ll get a great idea for the level of fulfillment service you can expect. How suppliers fit into picking a niche. What comes first, the niche or the supplier? Kind of a little play on the chicken or the egg thing. I’d say probably the most popular approach is people will pick a niche, and then proceed to picking a supplier, which is fine. That’s a great strategy. But don’t forget about, or don’t discount the inverse, which is looking for great suppliers and then inferring a niche based on them. If there’s a really good supplier, the chances are strong that they’d become a good supplier in a strong market because there’s a dynamic and vibrant customer base there that they serve. So keep your eyes out for good suppliers and you might be able to back your way into some great niche businesses. So, takeaways; suppliers stink at advertising. They’re awful. So, you’re going to have to dig on Google. Don’t stop at page one or two. Make sure you dig through at least the top 50 or 100 listings, maybe more. Secondly, suppliers are crucial to your success, so make sure you choose wisely. Don’t just go pick the first one you find. Make sure that you grade them and you vet them, because they’re going to be an integral part of your business. Finally, suppliers can point you to great niches, so make sure to keep your eyes open. If you’re interested in learning more about drop shipping and building a profitable e-commerce business, please visit my blog at eCommerceFuel.com. You’ll also be able to download a copy of my free, 55-page e-book, “Profitable E-Commerce”, where I talk about niche selection, supplier evaluation, and competitive research in detail. Thanks a lot for watching. Great guide to finding suppliers. Never thought of accumulating frequent flyer points on the card. I will have to get another card as mine is a free fee card. Thanks Owen! If you’re looking for a new card, check out the ‘Toolkit’ tab at the top of the page for recommended cards to maximize cash back and/or travel rewards. Thanks Andrew, I live in Australia, so I’m not sure I can use these cards you recommend. I will look into it. The cards I use are just standard Visa cards with a rewards point system. Not positive they have them in Australia, but I’d be surprised if they didn’t. We just don’t have the cards that you have mentioned. Hi Andrew – This is a great guide for locating wholesale/drop shipping suppliers! I actually did everything you said to find my name brand vendors and now I have an excellent contract/agreement with each one. In addition, I have started using my United Credit Card for all of my transactions with my vendors which has helped build up my frequent flier miles!! Andrew, Great stuff. I learn a lot from this website, please keep them coming. Question: When youre digging deep on google, it’s difficult to know whether the website is really janky because its some cheesy blackhat or quick and dirty method of making money by someone, or scams, spams, etc. vs. an actual real supplier that has a bad website. How do you stop from getting scammed? (Never pay up front? The first order is going to be a risk I guess) and how do you know which ones are trustworth, esp with your info. Lastly, you cant talk to real wholesalers or suppliers without a business ID and sometimes even a website because they wont take you seriously. When you apply for a business ID, is that the same thing as a tax ID? Do you need to be incorporated or an LLC, etc. and if so, do you have to choose the name of the company first? If so, it’s kind of putting the cart before the horse as you dont know which supplier and niche will end up working out. Usually, real wholesale sites will be pretty un-assuming, and won’t have lots of over-the-top salesy / promo stuff. If they’re trying really, really hard to sell to you they likely aren’t a legitimate supplier. Perhaps the best way is to see what they require: if they will only sell to you if you have a legitimate business and require proof of that, then they’re likely a real wholesaler. A “fake” scammer will just want to sell to you as quickly as possible, and likely won’t require any documentation. Thanks Andrew, I am starting. I’ve been reading a lot and the more I try to research and find a niche, the more confused I get. Finding the niche is impossible it appears. I’ve been on Amazon, ebay and craigslist flippa, etc. to try to get some ideas and at some point I just have to get started but everytime I think, Okay that fits the niche criteria… I look up competition and it’s sky high. And a big component of the hesitation or uncertainty is that I dont know SEO. Nor do I know PPC. So when I see competition, say some # of backlinks, some rankings, etc. I dont know if it will be possible to reach or beat the competitor’s website. If ever. If I can take a look and figure or estimate “well I can maybe get there in a year” then I have something to work towards, and it’s an attainable goal so I dont have a problem putting my blood sweat and tears into it but when you go into a niche not knowing a single thing and absolutely no idea if you’re going to even rank on the first 5 pages of Google, it makes you wonder HOW do these small websites that look like junk make so much money? I’m on a flippa and granted there’s probably a lot of fake sites, there are legitimate sites that sold for over $50,000 with very poor search ranking or website design, etc. What is your stance on gray hat SEO? Pure white hat seems almost impossible and even big companies don’t do 100% pure white hat seo tactics cause it would take forever. Everyone else is mixing in a few links and forum postings, etc. here and there so I’m curious what your stance is on it? What about black hat methods or people on elance that promise links that are high PR and good quality, etc.? I sometimes find competition that have like 7000 total links and I look through them and find a lot of them are bought or junk. If I go into this field and i DO NOT match this level of links and try to go “natural” or pure white hat and get MAYBE 150-200 quality natural links in the same time period, what are my chances that I would even come close to matching this competitor’s ranking on Google? To add to that train of thought, I guess the analogy would be the use of performance enhancing drugs in the sports industry. if everyone in my niche is buying links and doing it very cleverly to where google doesnt sandbox them, wouldn’t I need to the do same to just stay at the same level? And sorry for the bombardment of questions but I’m sure lot of people read this. (or will!) Do you have any advice or thoughts on breaking into very high competition fields? Or is that something you have not tried yet? I’m talking big fields like diving scuba gear or dog supplies. Those have probably over 150k exact keyword matches a month LOCAL and have industry leaders with 10-20 years in the business with huge warehouses. Would someone dare dream of being able to compete with them? Hey Andrew, I have a question that might be useful for other people reading your blog and that I know I would certainly love answered. Basically, I was wondering how much lower roughly (in terms of percentage) am I looking to see on a dropshippers price offering as compared with the lowest price I can find the same product retailed anywhere on the web? Where are areas that I COULD make a profit after adding my extra value and if need be a markup? James, it varies but drop shipping margins generally are between 10% and 30%. It’s possible to get higher in special circumstances, but these are what I’d say are average. Definitely lower than if you’re stocking your own products usually. I would like to start a dropship company, but the thing that I’m wondering about is the incorporation of a business. As I am living outside the US and a non US citizen, how difficult is it to incorporate a company? What other options do I have? Because I would need to open a US Bank account in the company name and also be there in present to sign everything, what advice can you give me? Great information. I am new to this business and the research is my main focus at this time. Hearing from you guys first hand. I am Also struggling to find vendors for just started marketplace . Any ideas ? would be great help for me to step ahead .